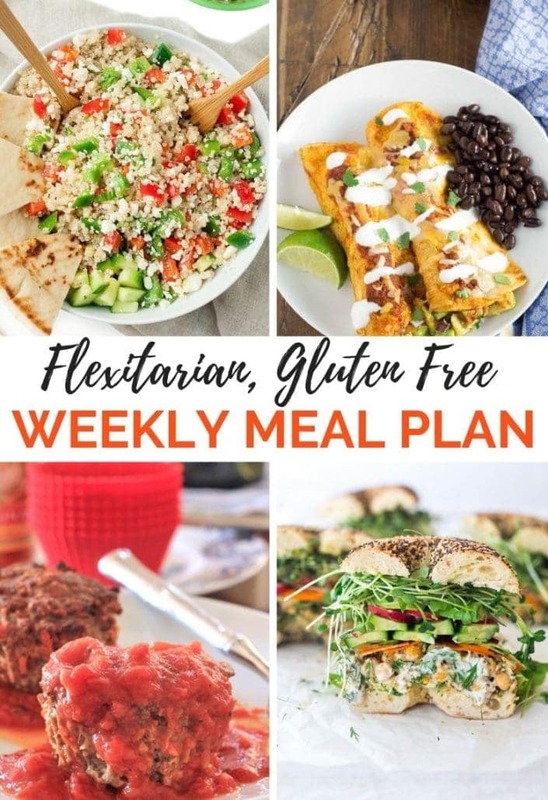 You’ll love this weeks healthy AND delicious Gluten Free Meal Plan and Shopping List. You get 4 dinner recipes and 1 gluten free treat of the week to help you save time, money, and enjoy dinner time again! I’ve made these Greek Quinoa Bowls from Peas & Crayons before, and the whole family loved them. 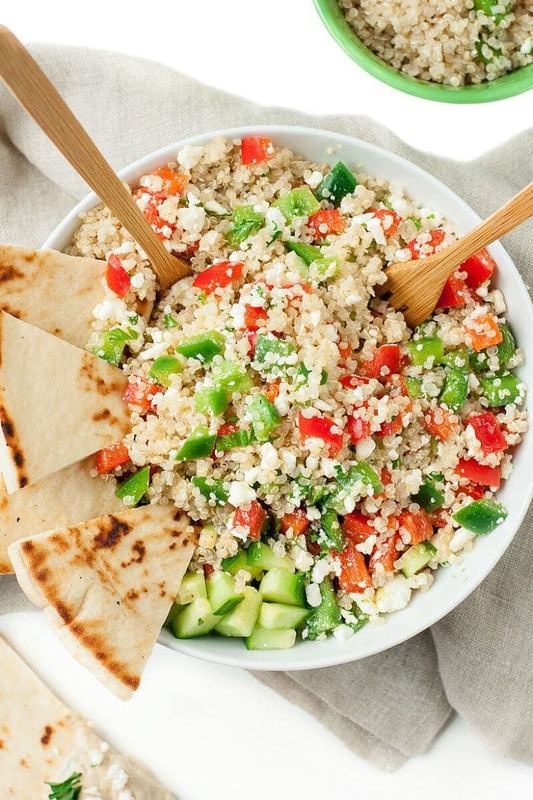 You can easily make the quinoa salad ahead of time-perfect for busy nights, when you need a quick, easy, healthy, AND delicious meal! Serving Suggestions: This can be enjoyed as a main dish vegetarian entree, plus I like to add some fresh seasonal fruit on the side. Replace the pita bread with Udi’s Gluten Free Pizza Crust, baked and cut into wedges, to keep it 100% gluten free. 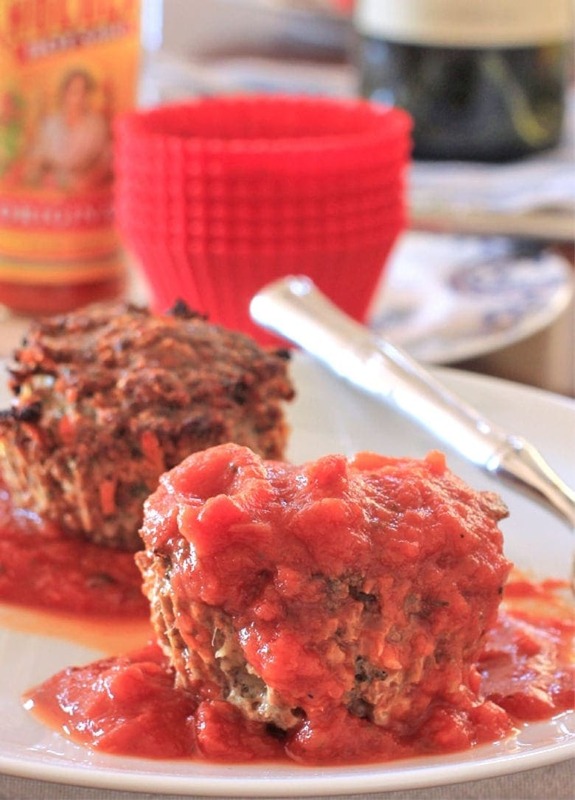 These Easy Gluten Free Meatloaf Muffins with Turkey or Beef, hit the spot when you want a nourishing and delicious meal, the whole family will love! I haven’t made these in awhile~but I had a meatloaf craving, so can’t wait to make them this week! 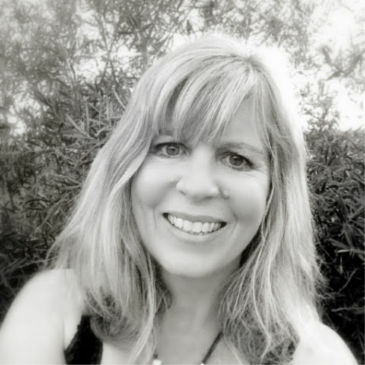 Vegetarian/Flexitarian Option: Swap meatloaf muffins with your favorite veggie burger (SiSi likes Trader Joe’s High Protein Veggie Burgers) for the non-meat eaters. Serving Suggestions: Mashed or roasted potatoes always go well with meatloaf IMO. And, add some veggies like roasted carrots, sauted asparagus, or steamed broccoli to round out your meal. Photo Credit: Sylvia at Feasting at Home. 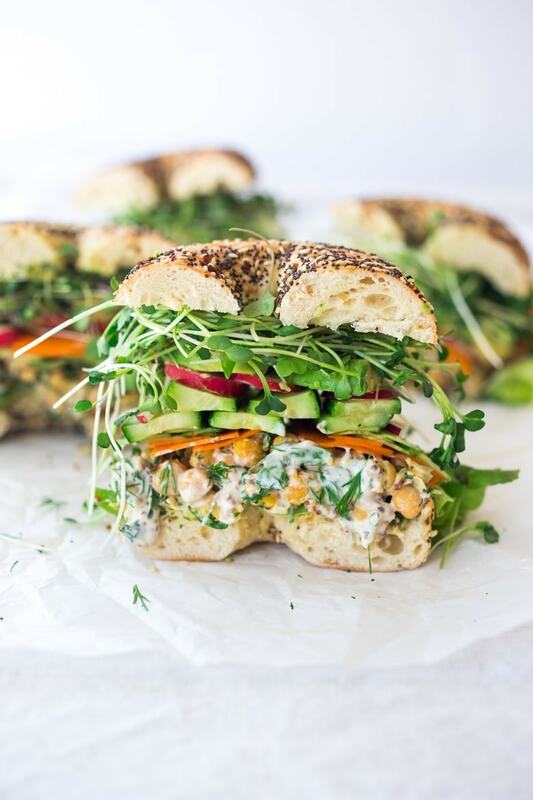 I can’t wait to make these Chickpea Salad Sandwiches from Feasting at Home. I love meals like this, because everyone can add their own toppings, to make it to taste. Tips & Serving Suggestions: Serve on gluten free bagels or bread for those family members on a gluten free diet. These sandwiches look so filling~all you need to round out the meal, is a little fresh fruit (maybe strawberries or raspberries, mmm…) on the side! Seeing as my whole family loves Mexican food, I try to plan it for the menu at least one night a week. 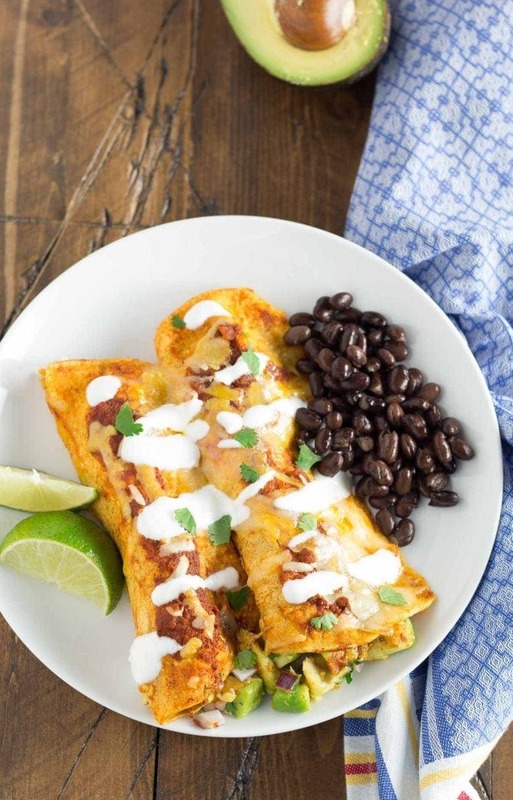 I can already tell these Avocado Enchiladas from Kristine’s Kitchen are going to be a huge hit! Serving Suggestions: Refried beans or black beans on the side, plus fresh fruit-maybe some nice juicy oranges! 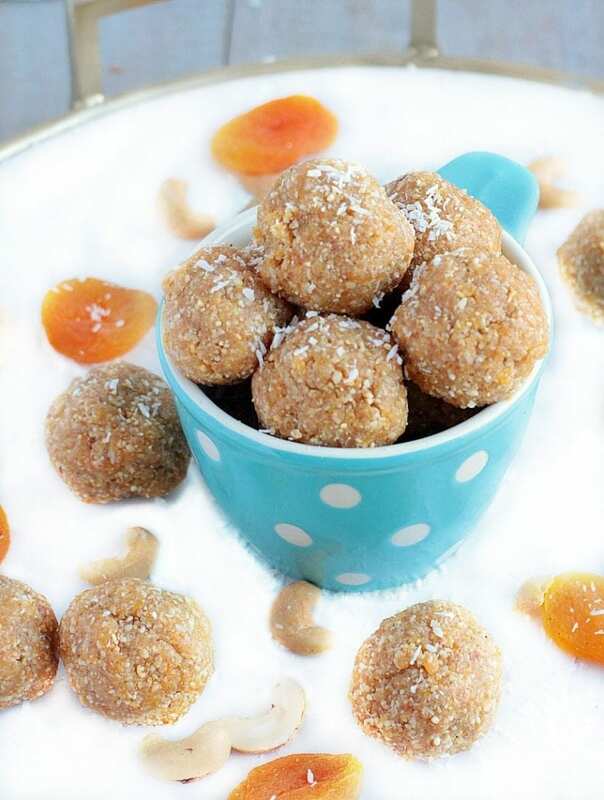 If you haven’t made my Energy Bites w/ Apricots, Cashews, and Coconut yet, I highly recommend them for a healthy and DELICIOUS treat! I’ll make a big batch and keep ’em in the freezer-perfect pre-workout, on the hiking trails, or whenever you want a nourishing treat. I’ve definitely upped my computer breaks this week, trying to get up and walk every 30 minutes, after reading this article. With heaps of rosemary growing in my front yard, I’ll often pick some and take a whiff, whenever I want to chill out. After reading this article, it looks like I’m on to something! I’m currently obsessed with foreign subtitled suspense shows on Netflix. Like Bordertown, The Chalet, and Witnesses. This easy, protein packed post workout meal is oh, so, yummy! As SiSi’s thick in the middle of choosing where to go to college, I thought this article on finding “trustworthy college admissions advice” was timely, especially after the college admissions scandal. Thrive Market ~ My go-to on-line market for discounts on a wide variety of my favorite gluten free foods and eco friendly household and beauty products delivered straight to my front door. In the past 1 1/2 years I’ve saved over $500 with Thrive Market~yippee! Try your 1st month out for free, or sign up today, and get 20% off your first 3 orders. Get in touch with me if you have any questions about how it works! Amazon Fresh ~ Perfect when you don’t feel like going to the grocery store! Shop for all your kitchen staples and fresh food on Amazon Fresh. You can schedule your delivery time too~I love waking up to groceries right on my doorstep! Sign up for a free trial and get $25 off your first order. Instacart ~ Order from your favorite local grocery stores for same day delivery. Pay a delivery fee each time your order, or sign up for Instacart Express and get unlimited free deliveries. “Done for You” Healthy Meal Plans. Save time, eat delicious, & feel fabulous with a customized healthy meal plan. Choose your plan & get started today~FREE 3-day trial, no credit card required! Daily Harvest Use my code “eastewart” to get 3 free smoothies off of your first order! Nourishing whole foods based superfood Smoothies, Harvest Bowls, Soups, Chia Parfaits, Overnight Oats, Sundaes, and Lattes shipped to your door! I keep a variety of Daily Harvest favorites in my freezer for those busy days when my family and I want something healthy and nourishing to eat when we’re on the go!